Exclusive: MPN spoke to Pinky Alamo of SANDIGAN, an ex-migrant worker in Kuwait, and MIGRANTE International’s Arman Hernando to discuss the plight of abused migrant workers across the Gulf. China has continued to ignore a 2016 Hague agreement and claims the South China Sea in its entirety. Saudi Arabia’s spread of jihadist ideology has reached past the Middle East and Southeast Asia and penetrated deep into the Asia-Pacific, drawing in extremist groups reeling from recent losses in Syria and Iraq. 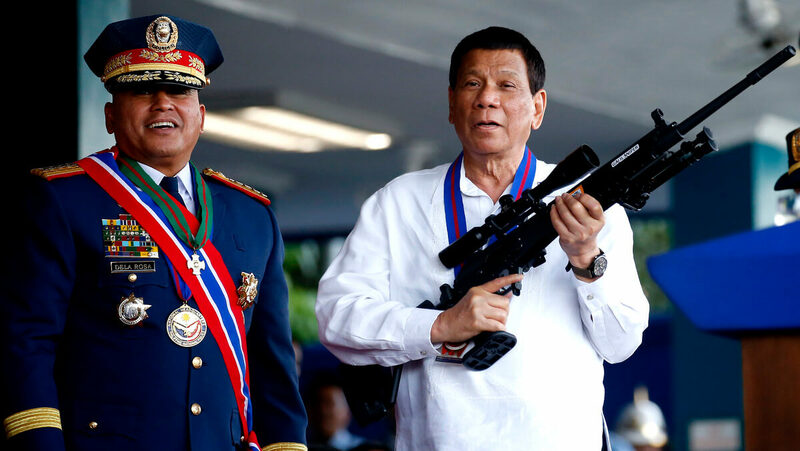 Pacific Eagle appears to be a major escalation of U.S. intervention in the Philippines at a time when tensions in the Korean Peninsula are becoming explosive and when China is transitioning from a regional to a global power. And just as in Plan Colombia, there is both the regional and the internal dimension. As we conclude this exclusive MPN series, we compare Operation Pacific Eagle to the notorious counterinsurgency initiative “Plan Colombia” and look at how the new Pentagon mission enables the U.S. to continue encircling China with its military bases. We speak to exiled Filipino revolutionary Jose Maria Sison and Professors William I.